Svalbard is a place where everything is the northernmost – municipality, hotels, hospital, schools, kinder gardens, church and pubs. In Longyearbyen (the administrative center of Svalbard) there even is the northernmost sushi restaurant and kebab stand, which opened up here recently. On the wall of a local museum you can read that Svalbard today still looks like a landscape from the end of the Ice Age. It is naked, with less than ten percent vegetation and more than half of the land mass covered by glaciers. As Christiane Ritter, an Australian painter (1897–2000), described this landscape: ‘Stone after stone, I am now seeing stones in my sleep and when I am awake. They are going to get on my nerves; I can feel it. This stony land, the total gigantic barrenness, is going to haunt me as a bad dream’. (Christiane Ritter 1935, Longyearbyen museum, June 2013; read more: Christiane Ritter. A woman in the Polar Night, 2010). Above all there is the complete darkness of the long winter. There are cases of depression and suicides (personal conversation). Alcohol consumption here is higher than in mainland Norway (This is Svalbard. 2012: p.14). 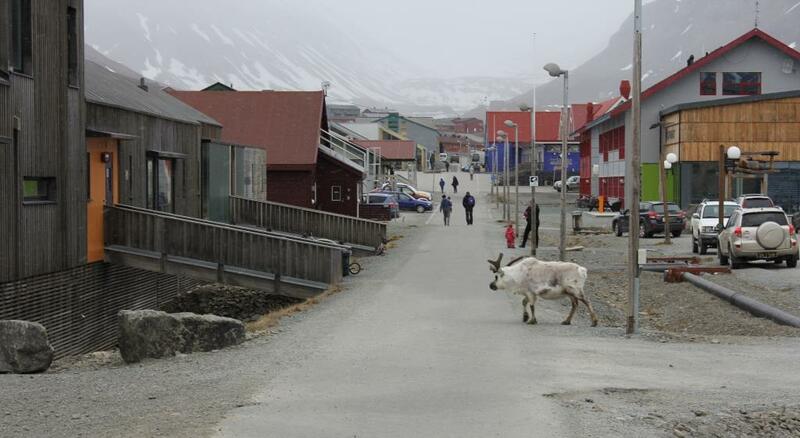 Longyearbyen is not supposed to be a ‘cradle-to-grave’ community. The children should be born on mainland. Svalbard is known, as an editor of ‘the world’s northernmost alternative newspaper’ put it, as a place where ‘dying is forbidden’ (Sabbatini, M. 2009. My first winter near the North Pole. Observer, November 1), there is no cemetery here. The local municipality does not offer services and welfare system on the same level as on the mainland. A small hospital (six beds) is the only accident and emergency unit. The local rescue centre undertakes 50-80 rescue missions on Svalbard each year (This is Svalbard. 2012: 21). 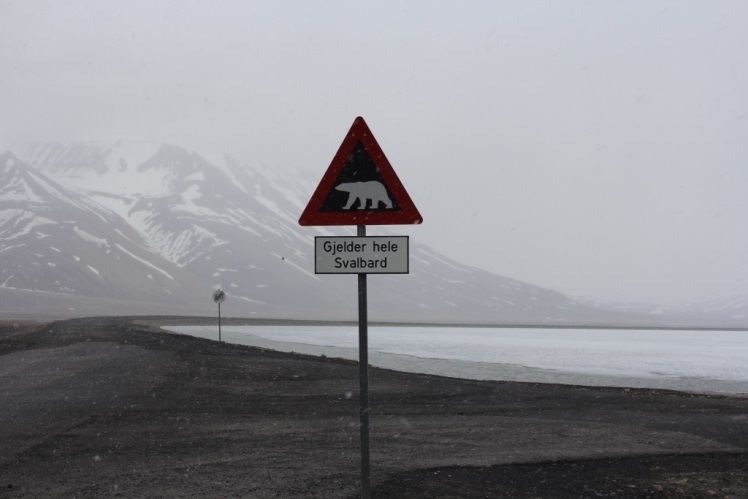 In spite of the harsh living conditions the number of residents on Svalbard is growing constantly since the beginning of 1990s according to the statistics (This is Svalbard 2012: 10). What is the attractive power that brings people to live here if we leave aside material incentives, like an almost tax-free regime, high income, and lower price levels than on the Norwegian mainland? However, as one local told me, it is not a good thing to escape to Svalbard because of the problems you have on the mainland. Each of us has had our own reason for wanting to go to the North. Here are two personal stories from my field notes that can perhaps give some clues, why people come to Svalbard and decide to stay here. ‘I came from the South (Caucasus) three years ago, because I had to help my family when my father went bankrupt. I was the only one, who was good in foreign languages and could work abroad. I went to Svalbard, although it is a bad place to live. The winter is so dark and in the summer the sun is shining 24 hours. Here in Longyearbyen I am probably the only practicing Muslim. Soon it is Ramadan and I have to think how to follow the prayer and fasting schedule under the Arctic conditions when the sun does not go down. Last year I was not taking food for 18 hours a day. I am a young strong man, 28 years old, but my job is hard, I have to carry very heavy stuff the whole day. It is not easy for me to fast and eat only fish. This is a peaceful place to live. Here, people do not properly lock their house doors, cars or snowmobiles. There is no crime or violence here. Where should the criminals escape to or hide? This is a clean place to live. Only tourists throw their rubbish on the streets. I carry my rubbish in my pocket or bag when I am downtown. Everybody who lives here takes care of the environment. At the time when I left my home it was easy to come to Svalbard, I did not need a visa or working permission. A few times a year there are direct flights to Longyearbyen from Moscow. I do not know, how long I will stay here’. From the hospital-nurse to the taxi driver. ‘I lived nearby Tromso and worked for twenty years as a nurse in the hospital. I am 60 years old and arrived to Longyearbyen just some months ago. I came here because I was tired of my job, I wanted to experience something completely different, and start my life from scratch. I am single, and maybe one day I meet a nice lady here, who knows? I like this place, only my flat is quite small, (40 m2) in comparison to my house that I sold (300m2). However, it does not matter. I can earn money here and buy later something bigger and nicer when I am a pensioner. Many people here already know me as a taxi driver and I know everybody. In the hotel bar I get a coffee for free and food for half the price. Of course, a receptionist can call me any time during the day or night for the tourists. We all are related to each other. Let’s see, how it will turn out here. First, I will work here at least for one year or maybe more’. Many people see this place as an opportunity to strip life back to basics. All people on the street, tourists, workers, residents look very similar – all are in their outdoor clothes. A lady in the airplane mistook my jacket with hers after landing – all passengers had the same look. There are no fashion shops in Longyearbyen – sportswear’s only. My conversation partner, who spent eight years in Longyearbyen likes it: ‘Nobody here takes care how cool you are dressed today and what kind apartment you have. I just came from Oslo, the people there are concerned how they and their houses look like. Here all flats are quite the same, furnished with basics, everybody is temporarily here and nobody is interested what kind of sofa you have. Maybe it is one of these things which make this place particularly attractive’. (ACCESS project, Arctic Climate Change Economies and Societies, ‘European Project supported within the Ocean of Tomorrow call of the European Commission Seventh Framework Programme’ and Research Grant by Norwegian Embassy in Helsinki). This entry was posted in All, Fennoscandia, Fieldwork, oral history. Bookmark the permalink.